Rice vinegar comes in a variety of colours and flavours. 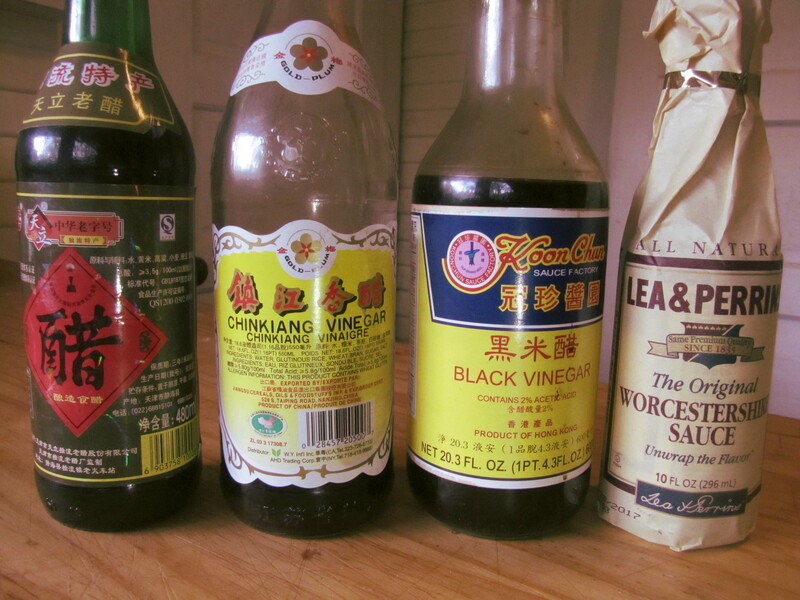 The most important are probably white rice vinegar, and black vinegar. As the name suggests, rice vinegar is made from rice wine (or sorghum), and it often has a slightly sweet, malty flavour that’s important for Japanese and Chinese cooking. There are common Chinese and Japanese varieties of this. 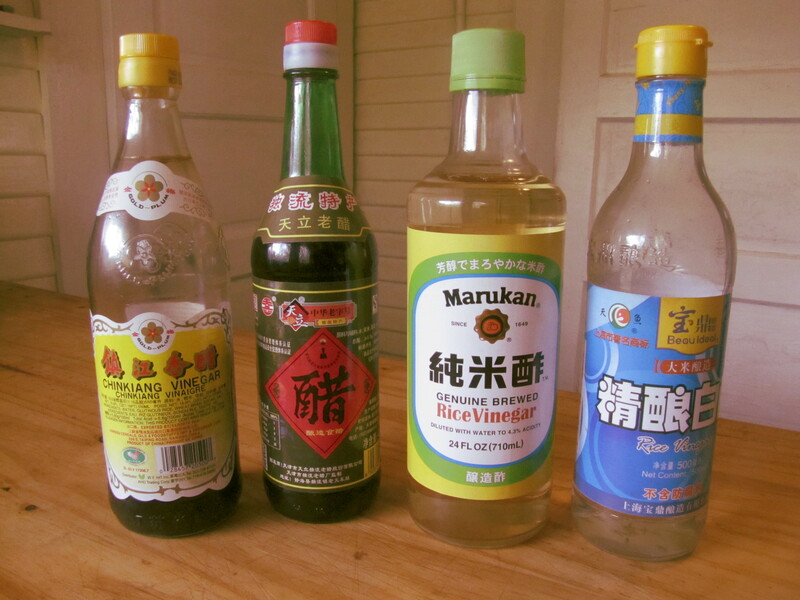 The Japanese rice vinegar is a little more flavourful, but they can be used interchangeably. Pay attention if you’re buying Japanese rice vinegar — the seasoned variety (for sushi rice) contains some sugar and kelp extract, or MSG. In a pinch, you can probably substitute cider vinegar, but it’s got a sharper flavour so be careful. This style of vinegar, from the north and west of China, is incredibly pungent and flavourful. It most resembles malt vinegar, or Worcestershire sauce (both of which you could probably use as a substitute if you absolutely needed to.) This vinegar alone makes a perfect dipping sauce for dumplings, and can be used in soups and other dishes. And it is the prominent seasoning in Sichuan dishes, like crunchy potatoes, and cabbage stir fry. There is a lot of diversity of taste among black vinegar. Of the brands shown here, Chinkiang is by far the best. We really don’t like Koon Chun black vinegar at all.